Dr. Fouad Melamed is a doctor of optometry trained in evaluating your eyes for LASIK surgery. Although not everyone qualifies, many people do fit into the required criteria to safely receive this surgery. This complimentary consultation will include a full history, and the required testing to see if you qualify for the surgery. It does not include your glasses or contact lens prescription. Dr. Fouad Melamed works with a few top surgeons in Los Angeles. We offer complimentary LASIK Evaluations to see if you are a candidate for the procedure. Other effective surgeries will also be discussed if you are not a candidate for LASIK. Dr. Fouad Melamed co-manages your surgery closely with your surgeon and will perform all pre- and post- visits. You can be confident that you are in safe hands with the Board Certified Ophthalmologists that we work with. All our surgeons use only the most advanced technologies including the newest CustomVue or Wavefront All Laser LASIK which is Blade-Free. 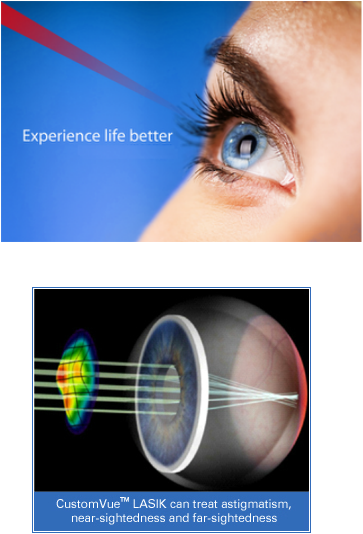 Please schedule your appointment and bring your eyes and your questions regarding this latest advancement in vision correction!